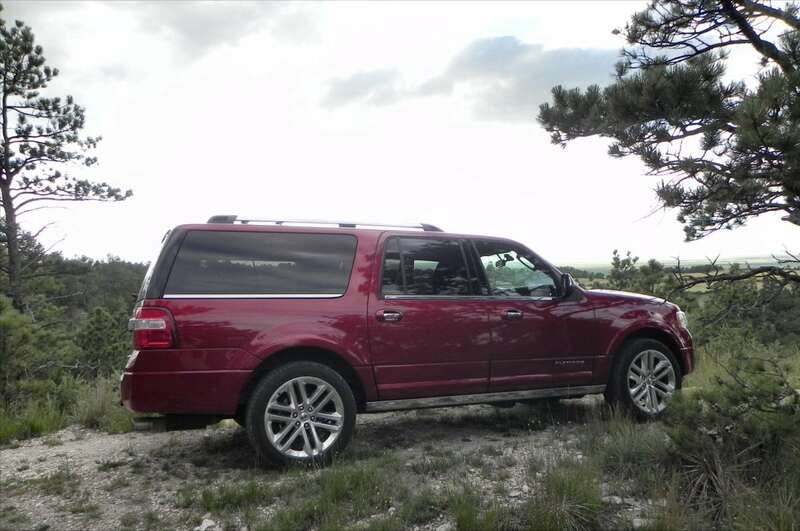 The 2015 Ford Expedition is one of the largest of the sport utilities on the market, but was showing its age. 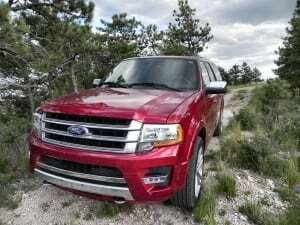 Now, Ford has upgraded almost everything about the big SUV and it’s even better for it. 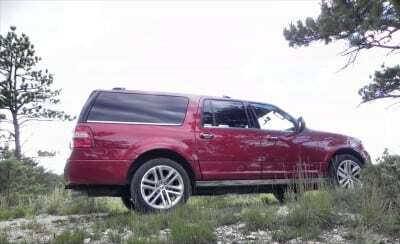 Up until last year, the Ford Expedition carried a big eight-cylinder fuel-sucker and a dated, square look that matched its less than appealing interior. For 2015, Ford changed everything about the Expedition that needed changing: a better-looking exterior, a far more efficient engine, and a much more modern interior. 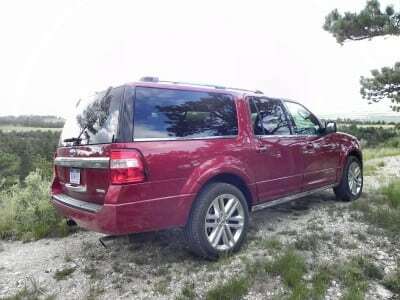 What didn’t change was the Expedition’s ability to act like a truck when needed and seat a platoon while doing so. 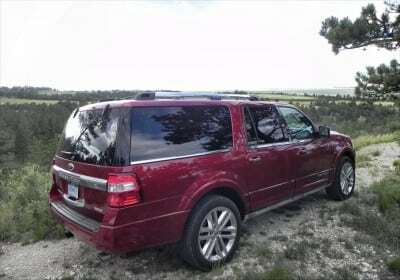 The market for huge SUVs like this one is not as large as the vehicles that inhabit it, but it’s steady. 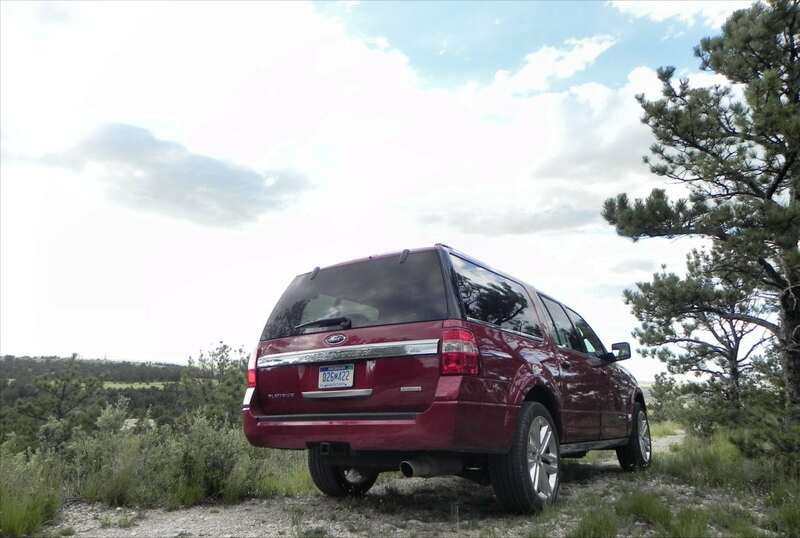 The 2015 Expedition can seat up to eight passengers and tow up to 9,200 pounds. Note the “and” in there. It can do all of that at the same time, given the right circumstances. It’s also capable of up to 22 mpg on the highway. Clearly this is a new age for the big SUV. 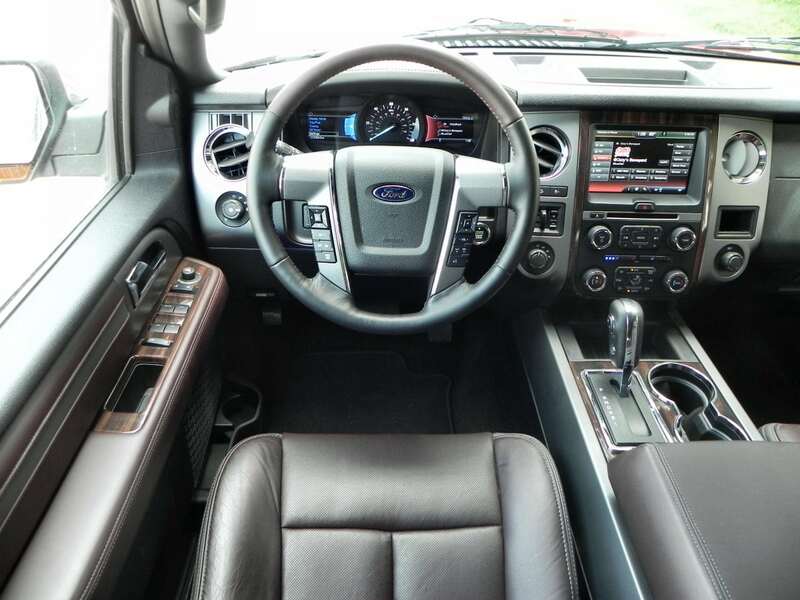 The 2015 Expedition has two body styles (standard and long wheelbase) and four trim levels with one engine and transmission choice. 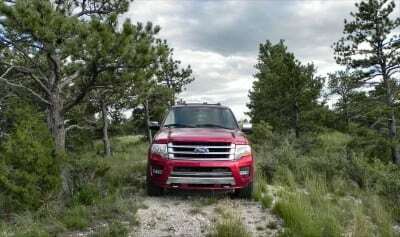 The Expedition is, in most ways, a big SUV version of the Ford F-Series pickup trucks. Many styling cues carry over from one to the other and some body pieces and trim details are shared. 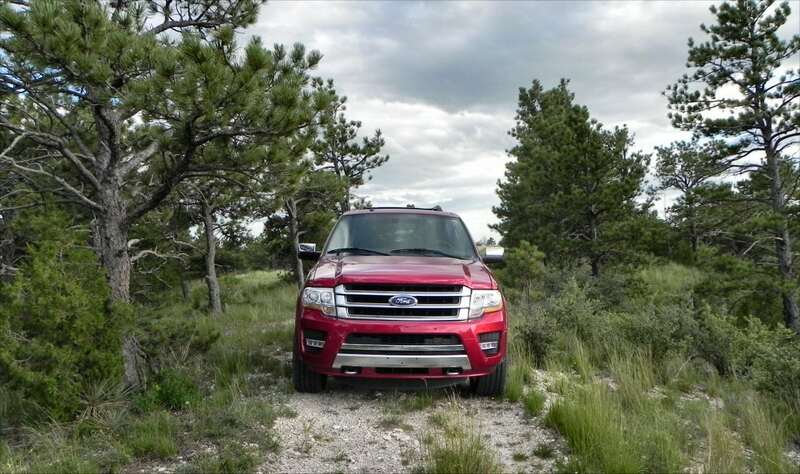 Head-on, for example, the 2015 Expedition and 2015 F-150 look very similar, though the Expedition has a more refined fascia and a less pronounced grille in comparison. Fender shape, hood detail, etc. are almost identical otherwise. Outside of those similarities, though, the 2015 Ford Expedition goes a long way towards differentiating itself from its pickup truck brethren. 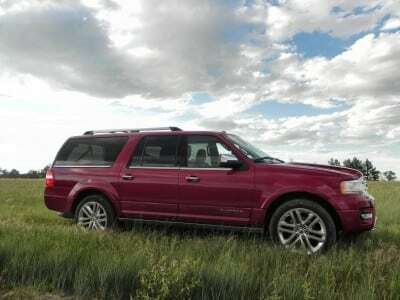 The Expedition’s look has been toned down to be less “tough guy” and more “family guy.” The rectangular shape of the SUV sees some curves and details to soften the edges, including a larger center pillar and blacked “floating roof” rear pillar to create more greenhouse and added curvature. The rear bumper is rounded and less robust. 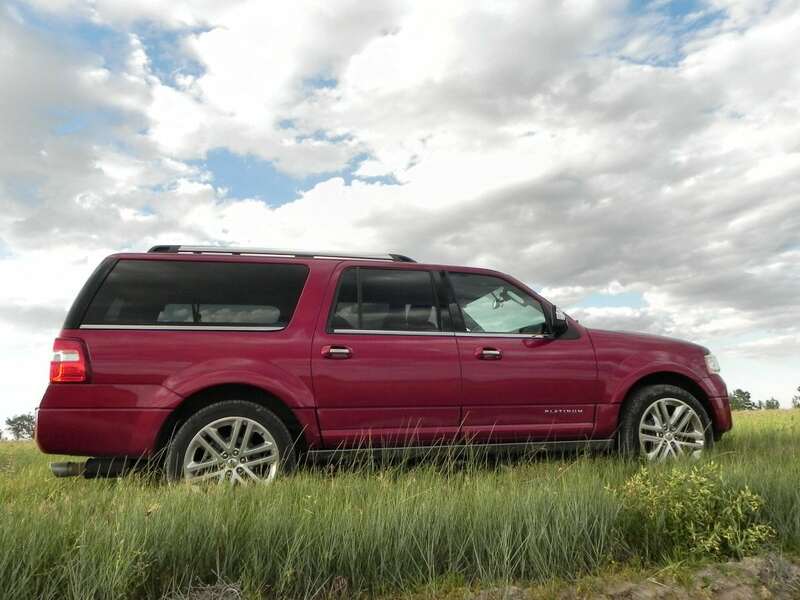 In all, the exterior of the 2015 Ford Expedition is much more car-like than it had been before, giving it a more suburban appeal. 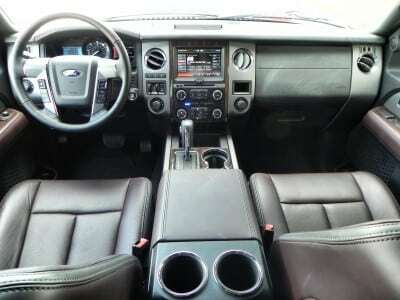 The new interior for the Expedition is much more classy than it had been in the past. Most of the hints of a truck-based build are gone, with only the “grab handles” for climbing in remaining. 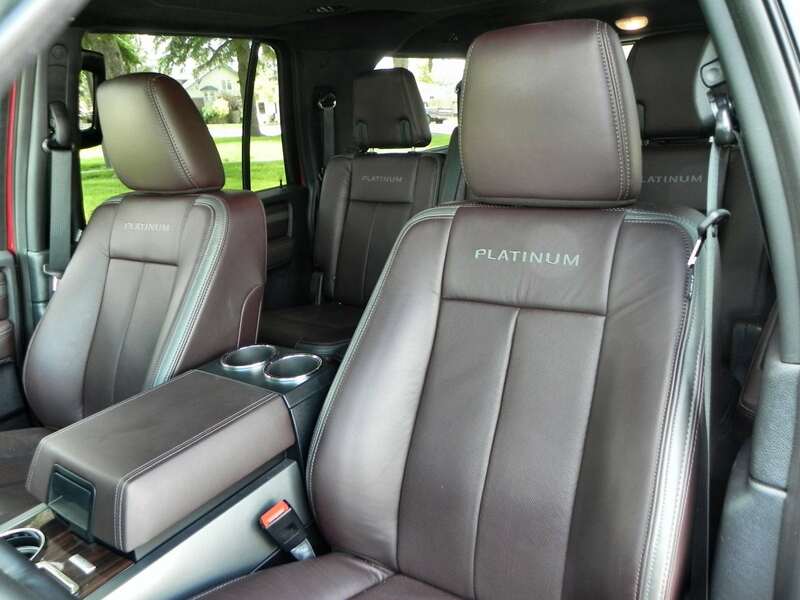 The hallmark of the Expedition has always been roominess, which remains for 2015, but everything is far more upscale than before – even the third row seating. 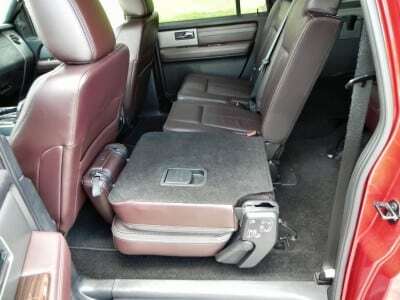 Some thoughtful add-ons for family ergonomics are also included to boost the usability of this big SUV. The driver’s cockpit is well-done and shares some control elements with the F-Series pickups, but with surfaces softened and changed for more appeal. Infotainment has also been upgraded to now include MyFord Touch as an option, greatly increasing capability and usability. Voice controls are a must with Ford’s system and you can get those here. The second row is roomy, adjustable, and has a captain’s chair option, which reduces total seating by one, but adds a lot of comfort to the second row and more access to the third row and cargo area. The standard seating is a 40/20/40 split-fold bench, which is very comfortable. A thoughtful touch is the center section of that bench, which slides forward so a child seat installed there is more accessible to parents in the front. 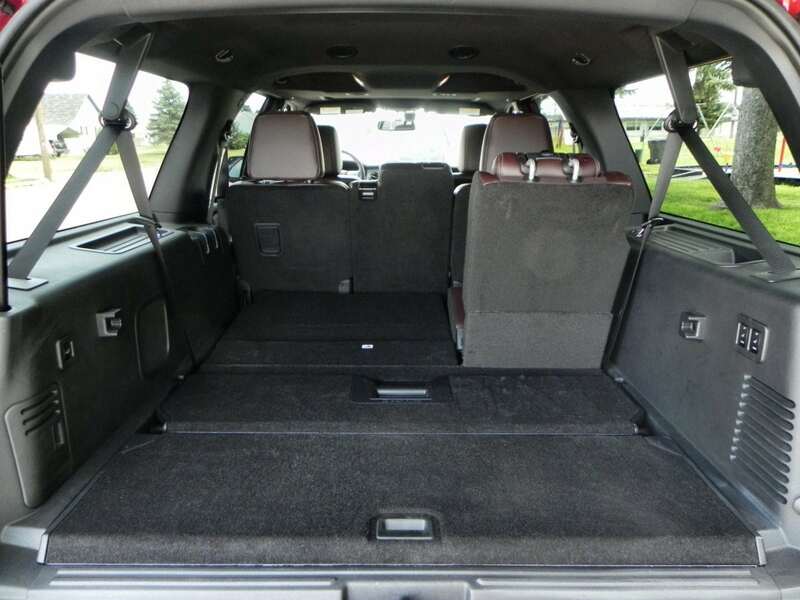 The third row is remarkably roomy, even for the big SUV market. 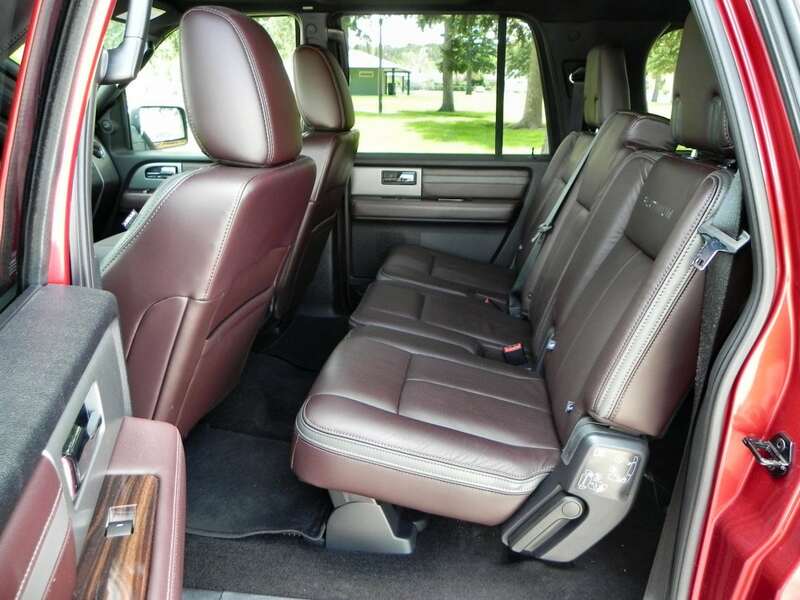 The seats aren’t very adjustable, but they are comfortable as-is, even for full-sized adults. They fold flat quickly as well. Cargo space is enormous in the 2015 Expedition. Without the long wheelbase (EL) option, the cargo area behind the third row is 18.6 cubic feet. 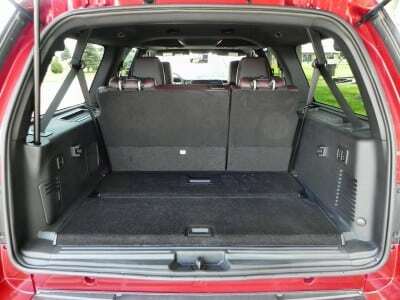 This expands to 108.3 cubic feet with the second and third rows folded. That’s best-in-class and doesn’t include the wheelbase extension, which bumps that up to 130.8 cubes. Powering this big SUV is an engine taken directly from the F-150, a 3.5-liter turbocharged V6 EcoBoost that produces 365 horsepower and 420 pound-feet of torque. 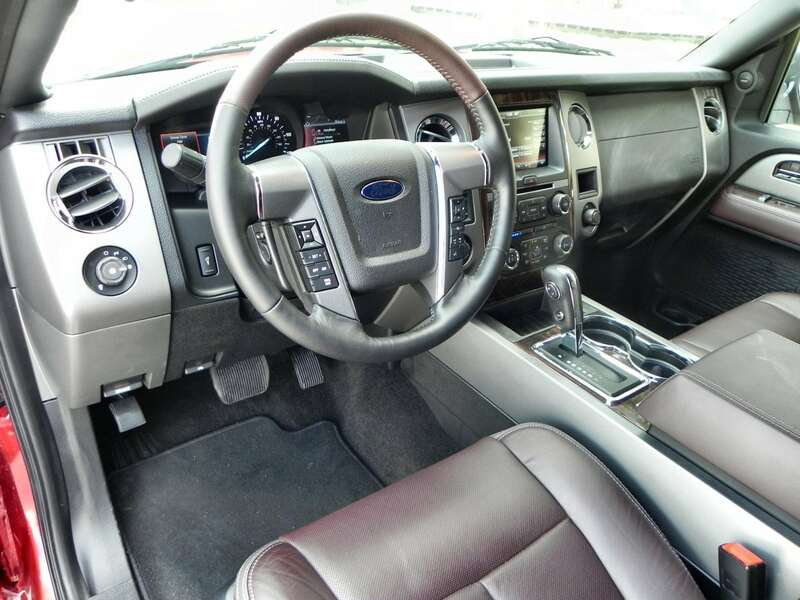 This runs through a six-speed automatic transmission that can be manually shifted. Rear-wheel drive is standard, but four-wheel drive is available. Towing is up to 9,200 pounds. 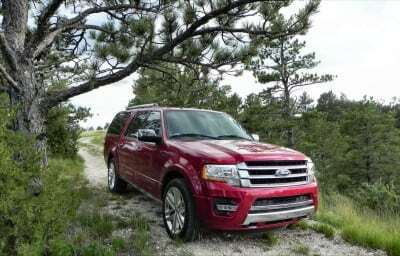 The EPA rates the RWD Expedition at 18 mpg combined (16 city, 22 highway) and the 4WD model at 17 mpg combined (15/21). The EL model loses about a point on all fronts. 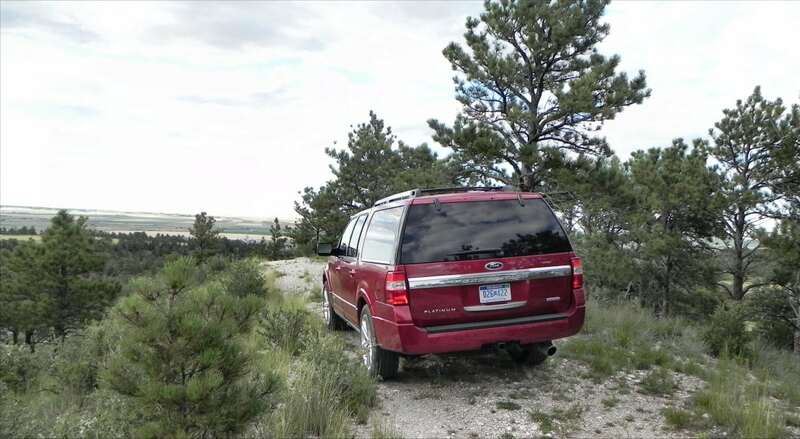 During our week with the Expedition, we managed 14.5 mpg on average in our 4WD-equipped test model. On the road, the Expedition is remarkably peppy. This is a big sport utility with a lot of wheelbase and size, yet it accelerates and drives more like a midsize crossover thanks to that great turbo V6 and a nimble chassis. 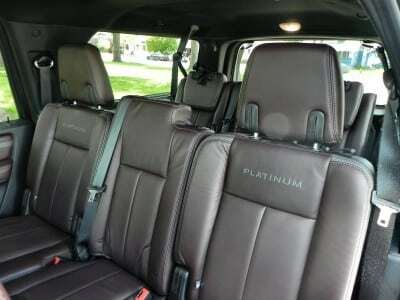 Parking and other tasks bring the beefy size of the SUV home, though, and remind that this is still a school bus with better seats. On the highway, the 2015 Expedition has a solid, confident feel and its high position gives great visibility. It accelerates well, passes with ease, and holds speeds without complaint. Although we did not tow with the Expedition, we have towed with a similarly-equipped F-150 and found it to be good at its job. 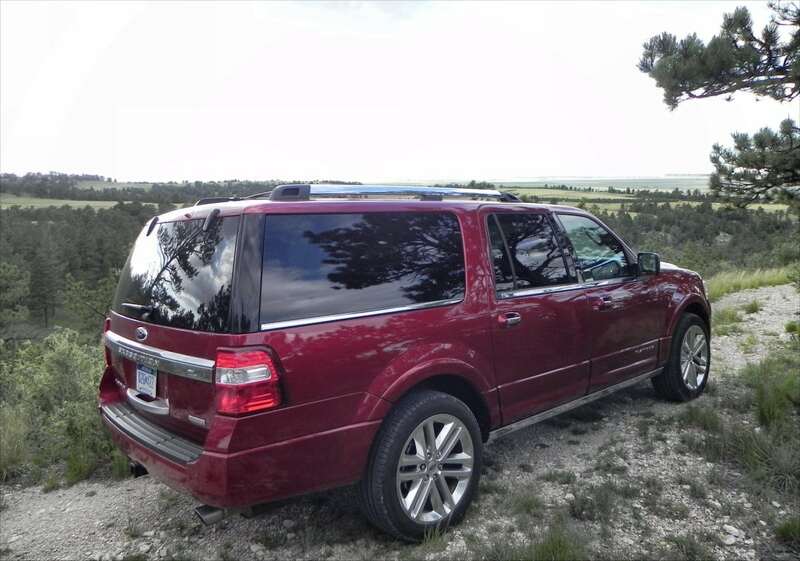 Around town, the Expedition is a lot to handle, but you get used to it quickly. 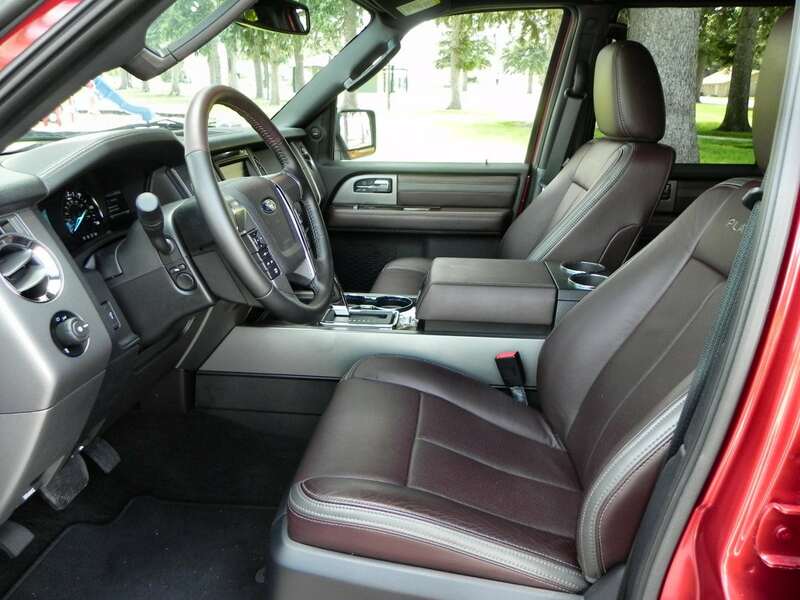 Again, the high seating position and nimble chassis mean it’s easier to control than it might be otherwise. 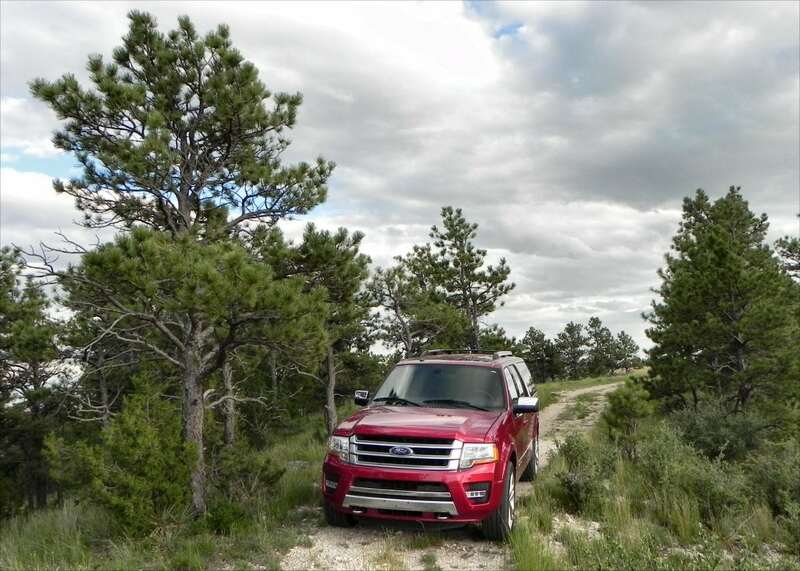 Off the road, the 2015 Ford Expedition is a good drive that’s capable of most of the things you’d need out of a big, tow-capable SUV. Getting to the lake or the camping spot, provided there is some kind of passage, is doable in this big utility vehicle. Although Jeep trails are out of the question, the four-wheel drive system is capable enough for most needs. Competitors in the humongous sport utility market include the Chevrolet Suburban,which is the chief rival to the Expedition. On most fronts, it’s about the same, but has a bit less in towing capacity and a little less fuel economy. 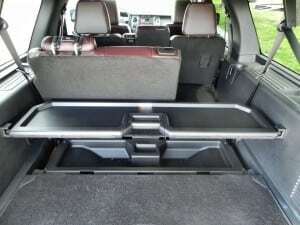 The Toyota Sequoia is still on the market as well, which might surprise some given it’s low sales figures, and it offers a more crossover-like drive in comparison, but less capability otherwise. General Motors has some Suburban-like twins with the GMC label and the big Chevrolet Tahoe is also a contender here. Big, comfortable SUV with a lot of cargo space. High fuel economy and excellent towing capability. Not as sporty or luxurious as some competitors. 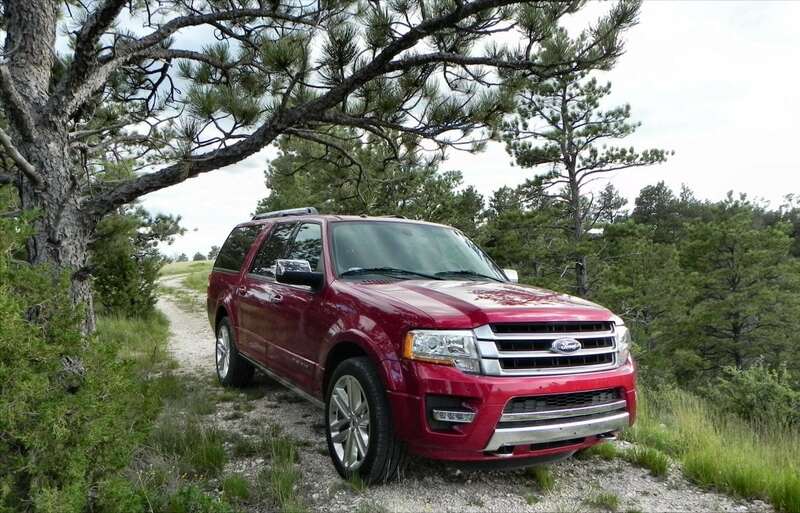 In all, the big 2015 Ford Expedition is a great SUV. 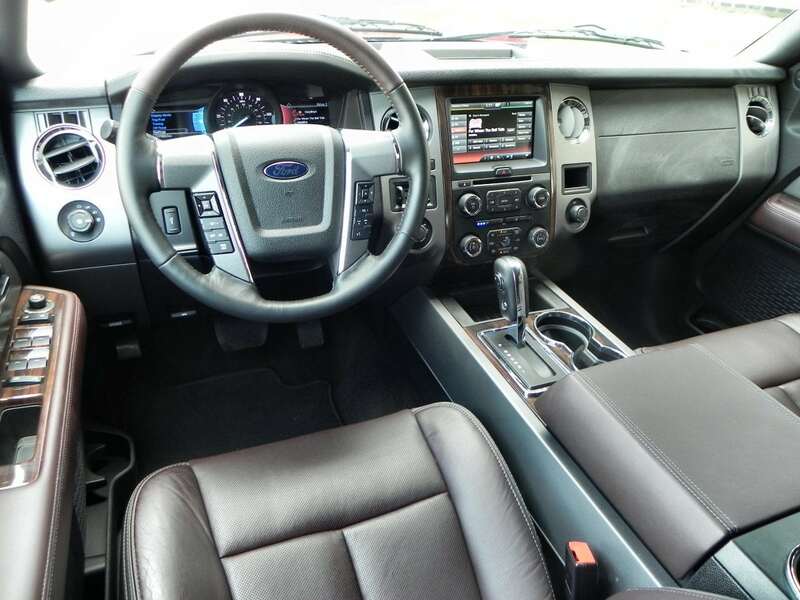 It’s large and roomy, has a solid towing capacity, and a great engine with good economy. The design is far nicer to look at than it has been in the past and the driver no longer feels like a commercial license is required. 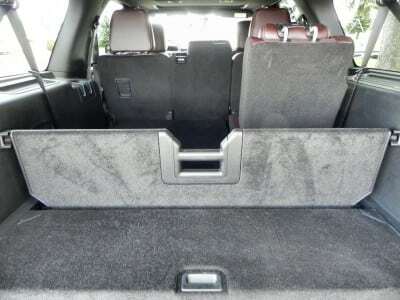 This is a refined SUV and is well worth consideration if you’re in the market for a big people mover. The Expedition was a manufacturer’s press loan for about a week. During that time, a total of 187 miles were put on the SUV with varying passenger loads.